Buying a yacht is an extremely rewarding experience. It conjures up images of serenely sailing into the sunshine, free to explore exciting new places from a yacht with all the mod cons. But owning a sailing yacht tends to be seen by many as an expensive and unfeasible ideal.Buying a brand new luxury yacht is obviously unaffordable for most people. You will have to pay for insurance, crew or training lessons, fuel and maintenance. A smaller sailing yacht, however, may be more affordable than you first thought. Browsing broker-s websites will give you a rough idea of how much a yacht is going to cost - some are just Г‚ВЈ16,000. This may seem expensive at first, but consider the money you will save on holidays, travel and hotels. And the experience of freedom to explore the seas at your own pace and from the comfort of your own surroundings is much more rewarding.A good broker will find you a yacht for sale. The advantage of owning a sailing yacht to a motor yacht is that sailing yachts rely on a cheaper and more relaxed form of fuel: the wind. Sailing yachts also allow you to put your true sailing skills to the test.The main types of yachts are day sailing, weekender, cruising and luxury yachts. Sailing is generally a day-long act, and sailing yachts often do not have a cabin because of this. Weekender yachts are under 9.5 metres in length, usually have a cabin or two and are intended for use for no more than 3 days. 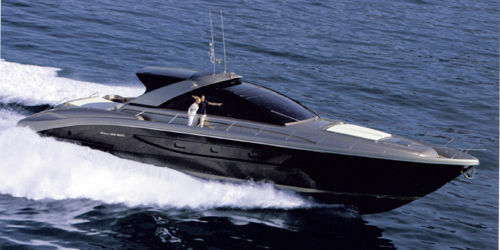 Cruising yachts are larger, usually between 7 and 14 metres long, and are equipped for long journeys. Luxury yachts tend to be over 25metres long, with even more space and luxurious finishings. The process of finding a yacht for sale begins with the broker. Try to understand your needs and budget before speaking to a yacht broker. The size of the yacht often depends on your budget, but remember you may be able to charter your yacht out to earn some money to cover costs while you are not using it. If you are buying your first sailing yacht it makes sense to buy through a broker. They will share their expertise into the different types and brands available, answering any questions which you may have. Decide on your requirements before talking to a broker. Will you be spending weeks sailing the world, or sailing the coast of Britain on the odd day at the weekend? Find out where you will keep your yacht too. Dockage can be difficult to find in some areas, so talk to the people at marinas about available space before you buy your yacht. If you will be chartering your yacht out think carefully about where you will want to dock it. Crowds hit the Caribbean each winter and the Mediterranean each summer so this is when you will be able to make most money chartering your yacht out.Ask if you can try before you buy. You will only truly be able to know if you like the feel of a boat by spending time on board, and your yacht broker will explain whether this is a possibility.